Theodore J. Lewis holds the Blum-Iwry Professorship in Near Eastern Studies at Johns Hopkins University. He is a Semitist, a Hebrew Bible scholar, and a historian of religion whose research has been awarded a Guggenheim Fellowship. Lewis received his Ph.D. from Harvard University and also studied at the Hebrew University in Jerusalem as an ITT Fellow. Prior to coming to Johns Hopkins he taught at Harvard University and the University of Georgia. 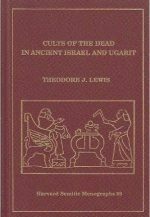 Lewis is the author of The Origin and Character of GOD: The Religion of Ancient Israel through the Lens of Divinity (in press, Oxford University Press) and Cults of the Dead in Ancient Israel and Ugarit (Harvard Semitic Monographs) and co-author of Ugaritic Narrative Poetry. Lewis is General Editor of the book series Writings from the Ancient World published by SBL Press with 22 volumes under his editorship and another 24 in preparation. He is the former editor of Near Eastern Archaeology and Hebrew Annual Review. He has co-edited (with Gary Beckman) Text, Artifact, and Image: Revealing Ancient Israelite Religion for the Brown Judaic Studies series. His current project is a volume on Archaic Aramaic to appear through SBL Press. His articles have appeared in ARAM, the Biblical Archaeologist, the Bulletin of the American Schools of Oriental Research, the Journal of the American Oriental Society, the Journal of Ancient Near Eastern Religions, the Journal of Biblical Literature, the Journal of Near Eastern Studies, Hebrew Annual Review, Interpretation and Vetus Testamentum. 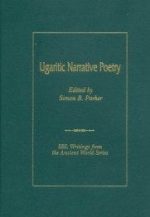 Other articles and book chapters have appeared in collected volumes published by the American Schools of Oriental Research, Eisenbrauns, E. J. Brill, Lockwood Press, Oriental Institute Museum Publications, Palgrave Macmillan, SBL Press, Ugarit-Verlag, Westminster John Knox Press, Wipf & Stock, and Wiley Blackwell. He has written numerous entries in a variety of reference works including the Anchor Bible Dictionary, the Dictionary of Deities and Demons in the Bible, the Eerdmans Dictionary of the Bible, Near Eastern Archaeology, the New Interpreter’s Dictionary of the Bible, the Oxford Companion to the Bible, the Encyclopedia of the Bible and Its Reception, and Theologisches Wörterbuch zum Alten Testament. Lewis’s research focuses on the religions of ancient Israel and Syria. 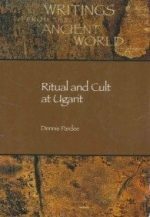 In addition to the texts of the Hebrew Bible, he works with alphabetic cuneiform texts from Ugarit (Syria), our most important archival material for understanding the religion of the Late Bronze Age Levantine world. His work on ancient Aramaic covers all of the known texts written in the various Old Aramaic and related (e.g. Sam’alian) dialects that constitute our primary sources for understanding the early history of the Arameans. Lewis concentrates his work on two core issues: (a) understanding the Hebrew Bible as an ancient Near Eastern text, and (b) studying Israelite and Syrian religion through both text and archaeology. 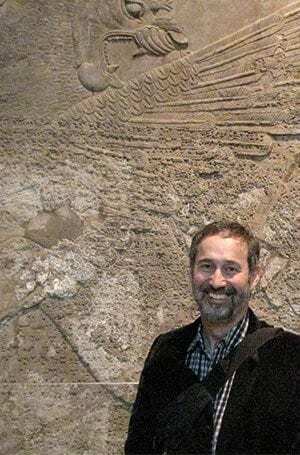 His research has found him writing on a variety of topics ranging from Assyrian war crimes to Zerubbabel's failed bid to be the messiah of Israel, not to mention ancestor veneration, apotropaic figurines, Archaic Aramaic, Astarte, Bar Rakib, blasphemy, blood rituals, the Book of Job, covenant, cults of the dead, divinity, family religion, the iconography of the gods, incantations, Kuntillet Ajrud, mythology, political ritual at Ugarit, royal power and persuasion, the scapegoat ritual, textual criticism, Ugaritic poetry, and underworld deities. His teaching has won him the Excellence in Faculty Graduate Teaching and Mentoring Award from Johns Hopkins Krieger School of Arts and Sciences.